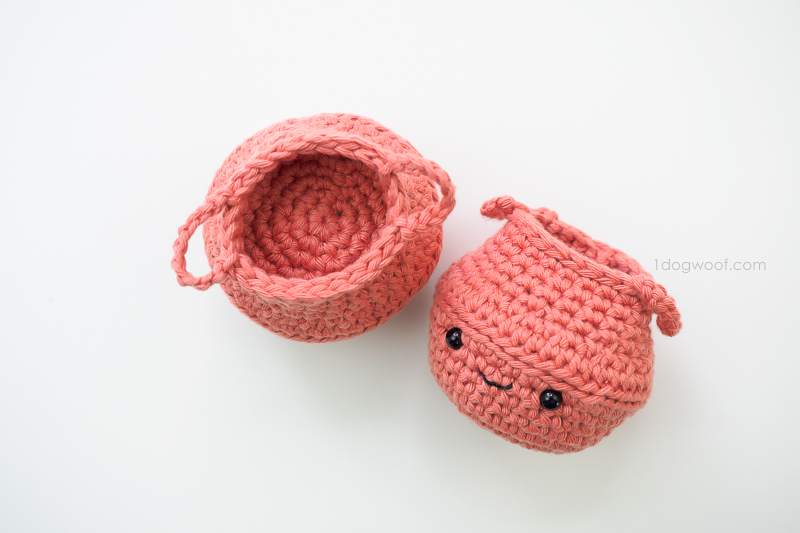 I honestly don’t know how I thought of this one, except that I’ve wanted a belly basket to hold my yarn for a long time. 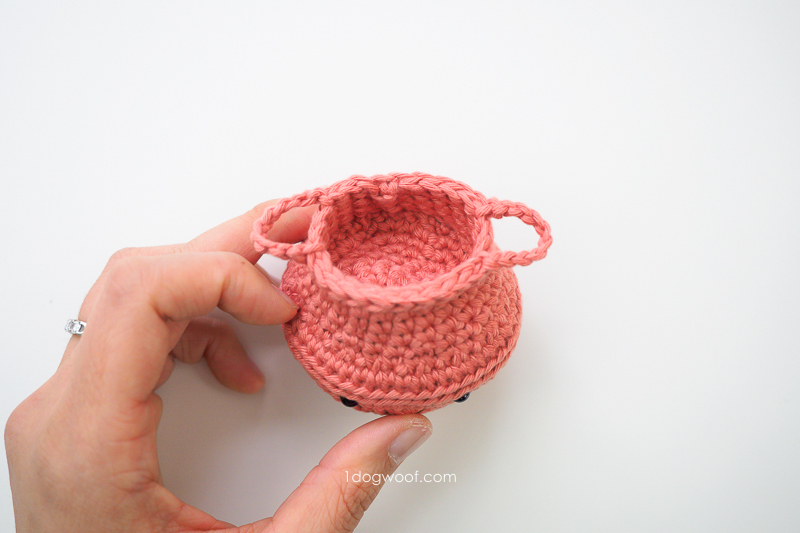 I guess until I buy one or make a large one for my office, this baby amigurumi belly basket will have to sit on my desk and hold my stitch markers! 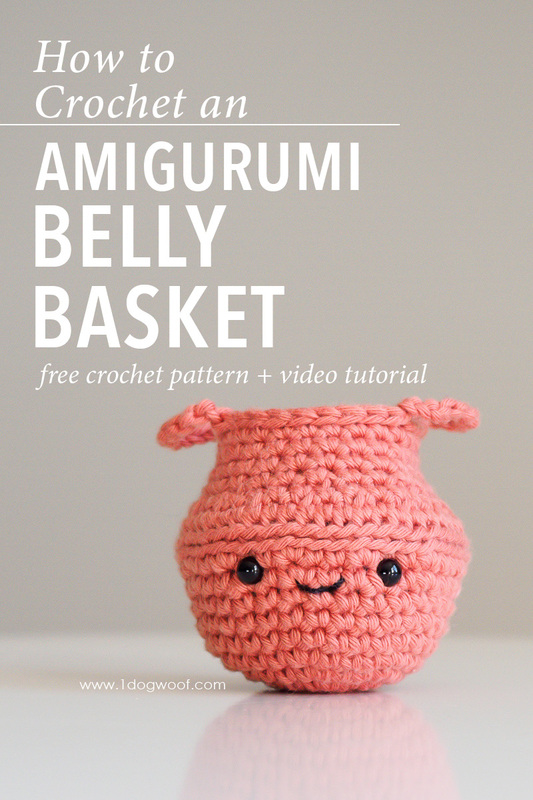 The shape of a belly basket is so distinctive, and I really wanted to try to mimic that in crochet at a much smaller scale. And the problem with baskets is that they’re open so you can put stuff in it. But then, how do you put stuffing in it without it falling out? 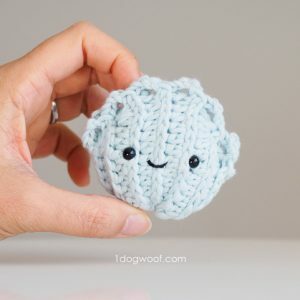 This amigurumi has a bit of tricky sewing in it, since it’s made with a separate basket cover that is sewn to the inside wall of the belly basket. The lower half of the basket is filled with cluster stuffing, and the cover holds it all in place. It’s also great for hiding the backs of the safety eyes and all those pesky ends. I show how to sew the basket cover to the inside of the basket in the video below, so if you need help with this part, go check it out! Once the bottom of the basket is stuffed and the cover is sewn on, the top of the belly basket is just worked in seamed rounds, with the last round adding the handles. Since only the bottom of the basket is stuffed, that means there’s actually room for you to fit a few small items into the top half of the basket. 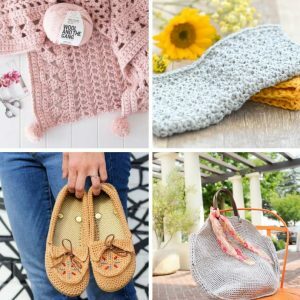 I think it’s a great place to tuck a few stitch markers, extra safety eyes, or other small crochet accessories! Rounds in belly basket are worked with a seam and joined with a seamless join. On Round 9, the slip stitches need to be made loosely. 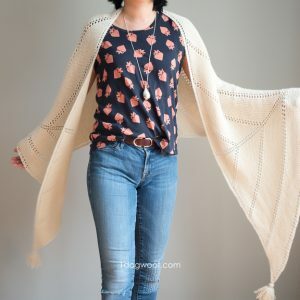 You can loosen your tension, or switch to a larger size hook. You can switch back to your normal hook for Round 10. Fasten off with a long tail, approximately 3x longer than the circumference of the cover. Join with invisible join. Tail will be used to sew the cover onto the inside wall of the belly basket. Add the eyes in between Rounds 9 and 10. Add the mouth in between Rounds 8 and 9, centered between the eyes. Sew BASKET COVER to the inside of the BELLY BASKET using the mattress stitch. Each sc in the BASKET COVER should line up with the back horizontal bar of each st in Round 13. Stuff the inside of the basket before closing the seam of the BASKET COVER. Round 18: Handles. Work 6 sl sts, ch 10, sk 2, 11 sl sts, ch 10, sk 2, 3 sl sts. Fasten off with the invisible join.